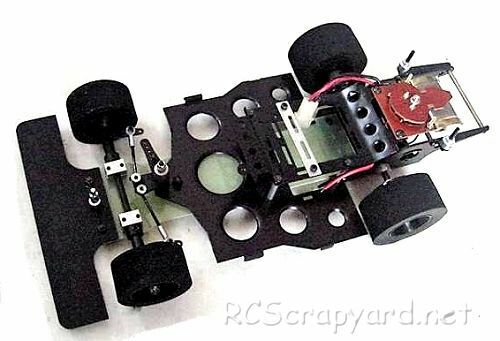 AYK RX1200 • (Radio Controlled Model Archive) • RCScrapyard. 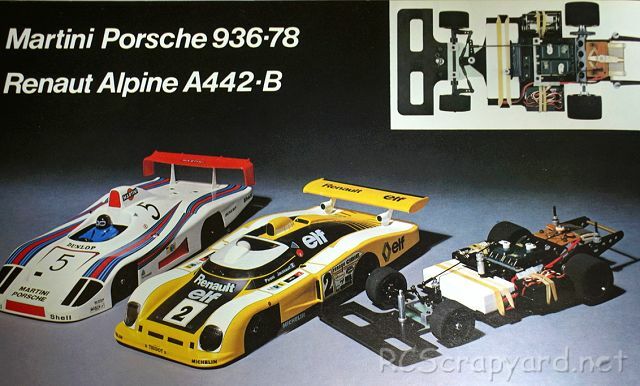 Introduced by AYK Aoyagi Metals Co circa 1978, the original 2WD RX1200 pan chassis was available with four bodyshell options: Big Nova - Big March - Big Renault Alpine A442-B - and Big Martini Porsche 936-78. The model is based on a black anodised aluminum alloy double deck chassis, with alloy motor-mount and a servo operated wound wire rheostat type speed controller. The original model did not have a differential. 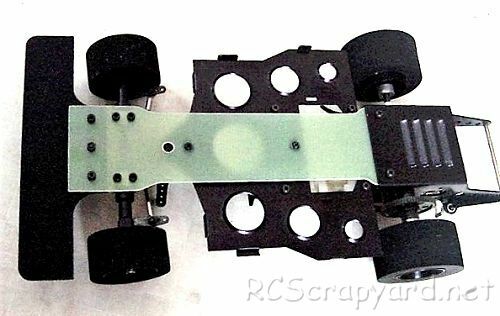 The standard alloy motor-mount could accommodate 380 motors, but an optional motor-mount could be purchased for 540 motors and to reduce weight, improve acceleration and cornering ability, a special FRP lower deck was available. To race the AYK RX1200, it requires a high level of tuning for improved stability when cornering, to keep it on the track and give you more grip under acceleration. Even the smallest change in your cars settings can make a Big difference. Our simple to follow instruction chart will show how to attain the best Set-up for your personal requirements.